The reason that I was never tested was that I passed all my classes with As and Bs. My parents figured that I just hated math. They assumed that I just needed to apply myself. Now the reason that I got good grades was that I copied everyone’s homework and was a great student. My test scores would give me away, but the teachers were always okay to bump up my grade or give me extra credit. I was in the honors classes track, so surely I was such a good student so eager to learn that I could not get a C grade or lower. 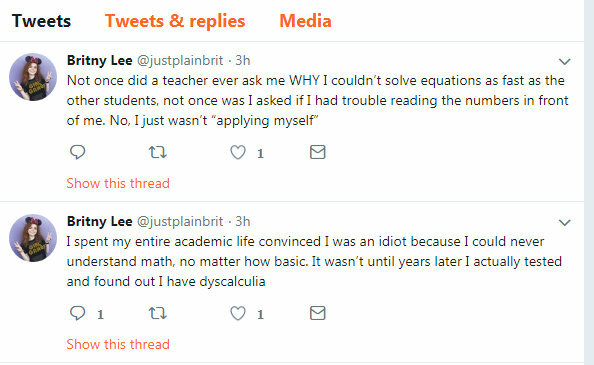 Adults with dyscalculia often take longer when working with numbers and may be more prone to making mistakes in calculations. They can also experience higher levels of anxiety and frustration. It may be harder for adults with dyscalculia to learn and recall math facts, such as times tables. The MomJunction website has a great article with five signs in young children that may impact your child and be a sign of a learning disability. Always good to create that awareness. Don’t miss the BBC article about the North Ireland study where they didn’t detect dyscalculia. Dr Kinga Morsanyi and the team from the School of Psychology studied the mathematics performance of 2,421 primary school children over a number of school years. The researchers said they expected the number of pupils with dyscalculia to be similar to those with dyslexia, however from the children studied, 108 children had received an official diagnosis of dyslexia, but just one child had officially been diagnosed with dyscalculia. Based on the results of the study, the researchers found 112 children who are likely to have the condition. The study, which was funded by The Nuffield Foundation, found that in almost all cases children who appear to have dyscalculia are not being diagnosed. Did we mention Early Detection? 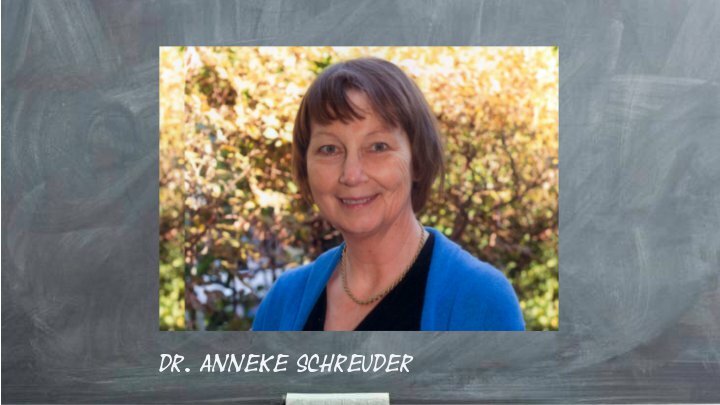 Early detection is so important for a great remediation of dyscalculia. In our link for today our online test so you can quick and easy get a solid screening done. Below a picture of a tweeter who is an example of how things can go wrong in someone’s school history. The good people at simplykinder have some free info sheets about dyscalculia for you. Please print them out and leave them on your teacher’s desks. 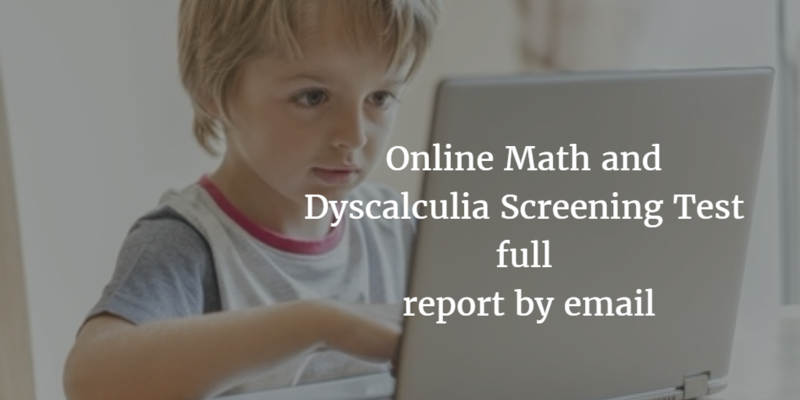 Early screening for Dyscalculia is very important to ensure the children get adequate support as soon as possible and prevent later possible Math Anxiety. Dyscalculia Services has a screener/checklist on their website and many people use that. Now they have also launched this Quick Dyscalculia Screener Checklist as an app for Android (iphone will follow later). This is a great way to get a fast early screening done. As a teacher you can install it on your phone and screen your whole class to get an early read on who is at risk for Dyscalculia. Identifying children at risk for LDs should be a critical component of every school-aged pediatric visit and need not be time-consuming. Sample questions to ask families regarding reading can be found at http://bit.ly/2jhzJO2 and http://bit.ly/2AsjSWh. Have you ever noticed a problem with processing information that could come easily? For some people, such as criminology major Gerardo Lopez, certain subjects such as math, are hard for him to process.. Although Lopez may not suffer from a learning disability, there are students on campus who need resources in order to keep up with their courses. 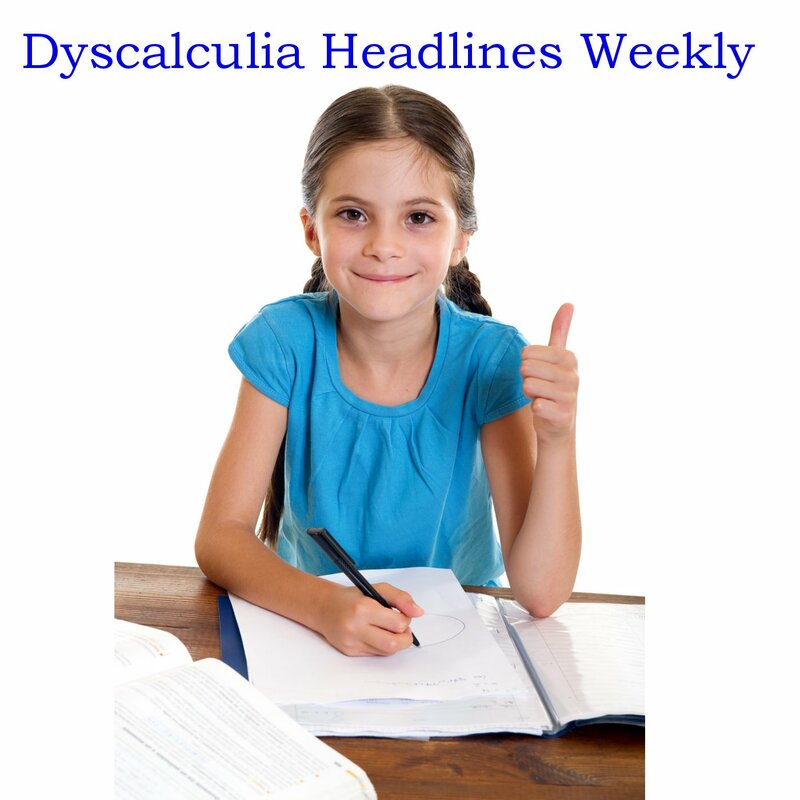 The understood organization has great simulations to see how it would be to have dyscalculia but on the page in the link for today, there are a few pages from pbs that also try to give you that feeling. You may have been struggling with it all of your life. In the link for today are some tips to find out if you would have a learning disability. If you think your kid might have a learning disability in math, the first step is to talk to her teacher. 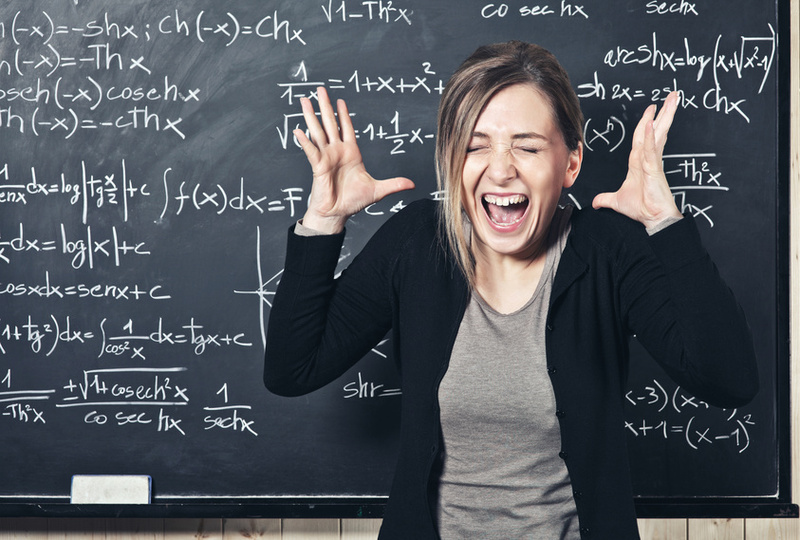 Learning disabilities like dyscalculia are diagnosed with a psycho-educational assessment performed by a psychologist. This can be done within the school system (although wait times can be long) or it can be done privately (prices typically range from $1,500 to $2,500). 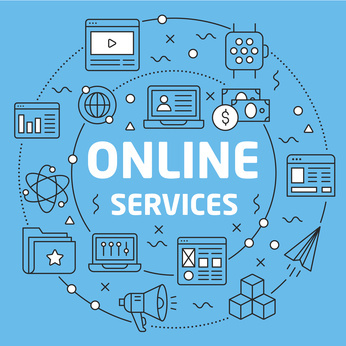 Dyscalculia Services has developed an affordable way to diagnose the condition with their online Math and Dyscalculia Screening Test. Even when a full test needs to be done their prices do not get anywhere near the amounts mentioned in the article in the link. How to get your child help? Today we link to a very good article that outlines step by step how to get your child assessed and helped by the schools. The process is not difficult but there are a few steps and some schools need some more convincing to help than others.